The cheap and easy way to organise all your student needs from 50p per box per week! Student Storage is made easy with Cheap Storage Manchester. We will give you the guaranteed cheapest and easiest storage options for the summer with Free collection Free packing boxes and Free Delivery back! Includes FREE boxes, FREE collection, storage for the summer & FREE return delivery. Store your furniture, boxes & suitcases All for the same price! Check out these summer storage deals! Each item, for example, can be a student storage box, bag, holdall, suitcase, black bin liner, bicycle, small item of furniture, ironing board, clothes rack etc. 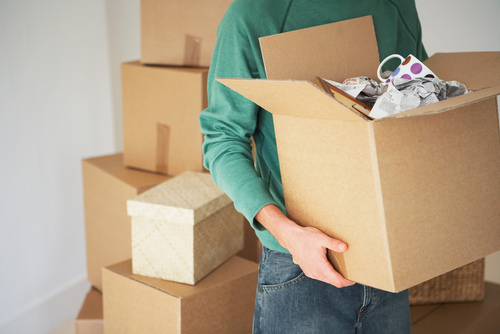 At the end of your University or College term, the last thing you want to do is worry about where you're going to store your stuff. Whether you need summer storage over the holiday period or for longer. Cheap Storage Manchester knows how to make student storage easy. Just use our simple online booking form to secure your storage space. If you experience problems then call us on 0161 776 7607. As soon as we receive your online booking we will send you an email confirming your storage reservation. We will telephone you before we set off. We will then collect your belongings and bring to our storage centre. When you return from your vacation just contact us and we will arrange with you to return your belongings to your home.